Turkey and the United States have discussed returning a jailed executive from state-owned lender Halkbank to Turkey where he can serve out the remainder of a sentence from an Iran sanctions-busting case, Foreign Minister Mevlüt Çavuşoğlu said on Tuesday, according to Reuters. 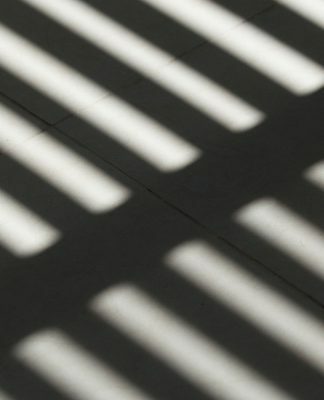 In May, a US court sentenced Hakan Atilla to 32 months in prison for helping Tehran get around US sanctions in a case that strained already tense ties between the NATO allies. 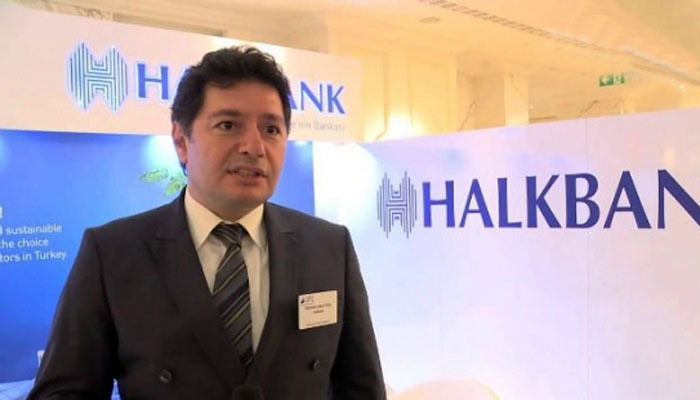 Halkbank has since faced potential US fines in relation to the case. Speaking to reporters following talks with US Secretary of State Mike Pompeo in Washington, Çavuşoğlu said Halkbank had not violated any US sanctions, adding that he had discussed what steps could be taken during their talks. “There is also the situation of Hakan Atilla being sent to Turkey. 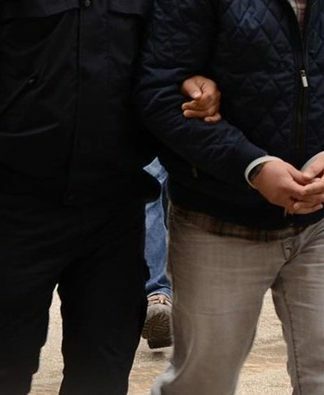 As part of bilateral agreements, he can serve the rest of his sentence in Turkey. We also discussed what could be done on this issue,” Çavuşoğlu said. Halkbank denies any wrongdoing, and President Recep Tayyip Erdoğan has condemned the case as a political attack against his government, while his son-in-law, Finance Minister Berat Albayrak, said he did not expect the bank to face a fine. Çavuşoğlu said there were two ongoing processes in the United States over Halkbank with one being run by the US District Court for the Southern District of New York and the other by the US Treasury. “The Halkbank case continues, as you know, at the court in New York and at the Treasury. We also met with lawyers on the issue and exchanged ideas on what needs to be done and the steps to be taken,” Çavuşoğlu said. The Turkish Hürriyet daily reported that the federal court in New York had launched a second investigation into Halkbank and that it could soon submit an indictment. “On the Halkbank issue, there is a process under way at the Treasury and the judicial process in New York. There is also a [Department of] Justice aspect. 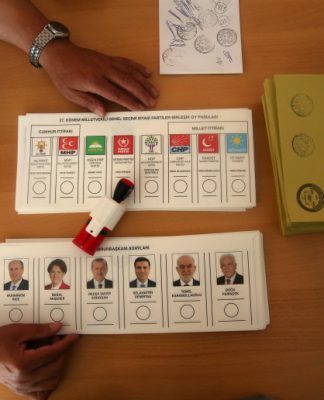 … The court is carrying out a process here, and the Justice [Department] has a role in this as well,” Çavuşoğlu said. “We discussed what we could do. On the other hand, in the process at the Treasury, it is about administrative decisions.” he added. Erdoğan earlier this month said he had discussed Halkbank’s case with US President Donald Trump, saying the talks were on a “positive path.” He said Trump had told him that he “would instruct the relevant [secretaries] immediately” regarding the Halkbank case, without elaborating. However, Çavuşoğlu warned on Tuesday that the legal proceedings against Halkbank must be stopped. “Since there was no evidence — and the jury couldn’t prove it, either — these proceedings need to be stopped. Otherwise they will be politically motivated,” he said. Strained ties between Ankara and Washington began to improve after US pastor Andrew Brunson, who was standing trial on terrorism-related charges in Turkey, was released last month. 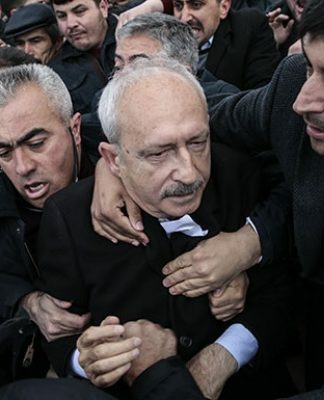 The NATO allies remain divided on a host of other issues, including US policy in Syria and Turkey’s request for the United States to extradite Fethullah Gülen, a cleric Ankara accuses of masterminding an abortive putsch in 2016.